"I have followed the Offshore Academy while dinghy racing for many years, wanting to advance my sailing to a discipline more extreme and adventurous. 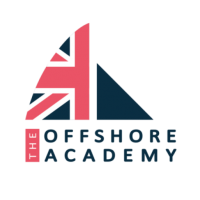 I've now proved that I possess the raw ingredients to make it as a solo sailor, I am excited to be working with the Academy - enhancing the necessary skills to become a talented offshore sailor and further the success of the programme." Hugh started competitive dinghy sailing at the age of 10, and won the 420 Youth Nationals with helm Mike Wood in 2010, after which they were selected to represent Great-Britain at the ISAF Youth World Championships where they would finish 6th. Hugh then made his way up to the British Sailing Team crewing on a 470. Still with helm Mike wood, they finished 2nd at the Junior Europeans in 2012 and in 2013, the pairing would finish the 2013 season with an 8th place at the 470 Junior World Championships. On joining the Academy, 2016 would be Hugh’s first solo offshore experience. He started out the season with a 17th place at the Solo Concarneau. At the next race of the season, the Solo Maitre Coq, he finished 14th overall after having a very good offshore race. He then finished 14th of the Solo Normandie. For his first attempt at the Solitaire, Hugh finished 35th. He had to abandon Leg 3 on the first night after his forestay broke. The 2017 season would be Hugh's second year on the Figaro circuit - mixing sailing with some work commitments, Hugh would retain his Amateur status and compete alongside fellow full-time sailor Mary Rook. Helming 'The Offshore Academy' Hugh posted some respectable results at the beginning of the season with a 24th place in the Solo Concarneau and a 16th place finish in the Solo Normandie. Competing in his second Solitaire race Hugh experienced extremes in conditions from 50kts and 2m seas in the Bay of Biscay in Leg 1 to the becalming of the fleet in Legs 3 and 4. After a strong performance in a very competitive fleet, Hugh finished in 25th place in the General Classification and took the overall prize for winning Amateur. Which Elliot Brown watch is for you? I am the proud owner of an Elliot Brown Bloxworth in gunmetal grey and metal strap, a classic looking 'diving' watch with highlights of orange. It's a timepiece I can wear on the water, on the street and out in the evening. Most loved item of Musto kit? My Musto HPX boots are currently doing wonders onboard the figaro, a very comfortable and lightweight boot that allows me to bounce around the boat through the wash but consistently keep my feet dry and warm.